The MERCURY engine has been rebuilt and has clocked about 20 hours since the rebuild. The owner says this boat is 100% freshwater. Includes a good boat cover. In addition, the boat is housed in covered storage. The following items are also standard equipment according to the manufacturer; Southco Latches Plano Tackle Trays ABS - Two (2) Scissor lifts - Plano Style boxes - Two (2) Dip Net Scabbard Three Rod Boxes - One Organizer Rear View Convex Mirrors - Two (2) Quicksilver Matched Analog Gauge Package R&R Custom Alum Battery Trays (4 Batt) Integrated Stainless Steel Boarding Ladder 24 Ounce Carpet Livewell Lights Dual Rod Straps - Bass Cat Passenger Rod Strap - Bass Cat Prop & Trolling Motor storage areas Master Power (2) - At Dash and Crank Battery Breaker Mooring Flip Cleats (2) at Consoles, plus docking Cleats Tinned Wire Two Fully Insulated Ice Chests Foam Filled Stringer System Engine Matched Propeller Vinyl Ester Resin on 40%-all outer laminate All maintenance records will be available to the next purchaser. The trailer is in good condition. Stock #164341 The Bass Cat Jaguar is for serious fishermen who want performance and fishability! If you are in the market for a bass boat, look no further than this 2012 Bass Cat JAGUAR, priced right at $44,500 (offers encouraged). 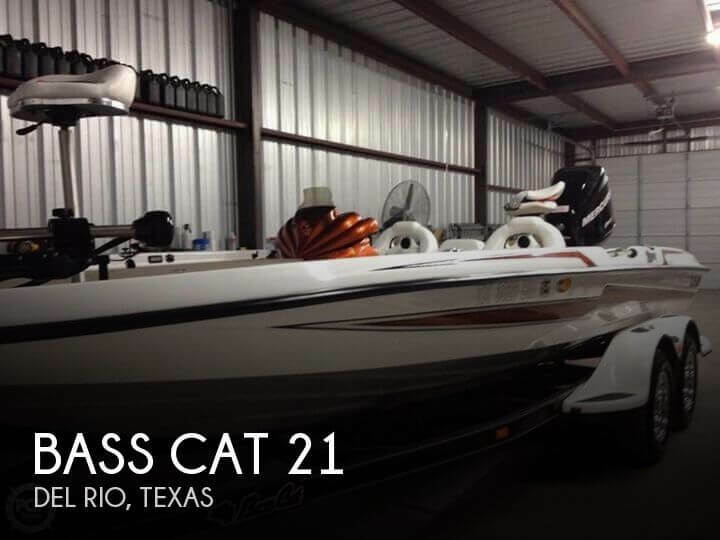 This boat is located in Del Rio, Texas and is in good condition. She is also equipped with a Mercury engine that has only 20 hours. Reason for selling is purchasing another boat. VIDEOS HERE: https://youtu.be/eizWkMcwTwEhttps://youtu.be/P1jzYH1zEE0CALL, MAKE AN OFFER! 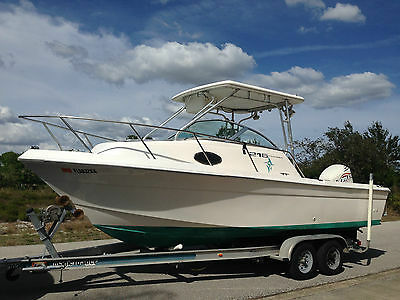 PRIVATE SELLER IS MOTIVATED AND WILL TAKE COOL TRADES.This vessel is ready to fish! The best part is the huge hardtop with lots of protection from the elements (and six rod holder rocket launchers). The hard top has lots of grab handles making it easy to hold on and walk around to the bow. It's so large and sturdy a couple girls could easily lay out on top of it in calm water. The side gunnels are wide with lots of space for comfortably walking to the bow. The fighting area in the back is wide open and feels like you are on a bigger boat. The whole vessel is spacious and feels larger than it measures. Aqua sport / Hydra sport makes great, rugged, ocean worthy boats! Recently passed a complete survey, there is NO SOFT SPOTS or other problems with the hull. It is a dry stored boat!Another great new feature is the brand new Lowrance HDi7 with GPS. It's freshly installed, only used 3 times and stored indoors when not in use. The boat also has a brand new set of all gauges and most of the boat was rewired with premium marine grade wire (summer 2014). All gauges are hooked up and work perfect with exception the trim gauge and fuel gauge. May need a new sender unit. Has a UHF radio that works fine and has a nice long range folding antenna. The cabin is very spacious, has lots of headroom and holds a LOT of people and gear. The all aluminum hatch is premium, in perfect shape and does not leak.The engine runs well and has no issues. It's 2001 with about 453 hours and perfect compression. 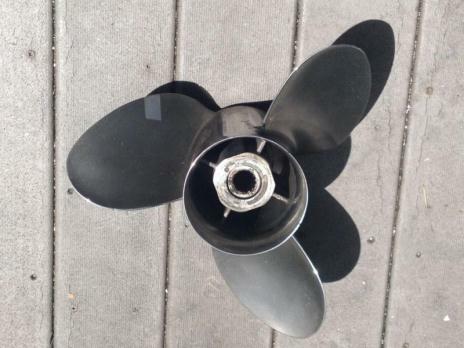 Recently serviced by Pirates Best Marine Port Canaveral, the lower unit was replaced and is still under transferable factory warranty until June 2015. Shifts in and out of gear flawlessly and very smoothly. Engine has been very reliable, starts quickly every time thanks to fuel injection (no carburetors). The ECU was also replaced about two years ago. Motor runs very smooth and quiet at all speeds. Idles / trolls perfectly smooth and quiet. Has a gauge on helm with cooling water pressure readout and another gauge with 4 types of warning lights and alarm encase something gets clogged. The bilge pumps and trim motor has been recently replaced (2014) with a new one and works and sounds perfect. The steering is also perfect and tight, no slack, very smooth at the wheel. Throttle and shift lever are good and smooth. Shifts perfect. Trailer is in good shape, recently serviced bearings and needs nothing. 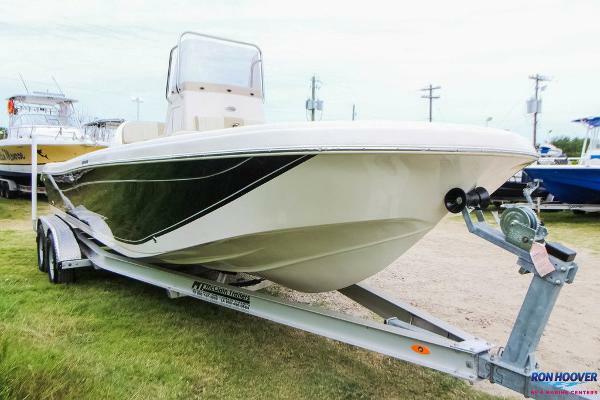 Only The boat needs little for good fishing fun offshore and comes with most of the equipment you need, jackets, flares, spare propeller, oil, and other goodies!Comes with two good props. One is quicksilver stainless steel for higher speeds (not installed).Florida title is in hand, clean with no liens.Will consider trades + cash and best offers!Better than a center console CC, this has a bigger top, more storage, cabin and more space behind the driver for fishing, diving, dancing or gear. Motivated seller, Make me and offer and come check it out! Call 407-6O2-842O to see it or ask questions. 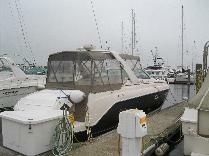 Opportunity knocks... 38' Californian Trawler / Long Range Cruiser. Priced below market value - for immediate sale - for a serious buyer. Nice clean boat - ready for your enjoyment. Located in a great slip in Marina del Rey, CA. This Californian Trawler was built in the USA, in Santa Ana California in 1978 You will experience a SOLID quality ride on the ocean, with this classic, quality-built trawler. (You are getting American Quality here – not like those cheap Taiwanese trawlers made with substandard parts by 6 year old kids in a sweatshop) This can be your vacation home on the water. Only 10 minutes from LAX airport, and convenient to all best parts of Southern California. Three (3) huge decks - plenty of room and easy to walk around. Great for parties. Bathroom with walk in shower+bathtub. Plus another head with walk in shower adjacent to 2 bunkbeds upfront. This boat would make a good rental on AirBNB. I originally advertised it there at $149/night and had quite a bit of interest, (but decided it's not my thing to have strangers sleeping on my boat). You can probably rent it out for 10 nights/month and cover all your costs. The engines now have about 900 ORIGINAL hours on them. That is almost like a new boat – when you consider this is a 33 year old boat!! The boat had only 2 previous owners. Previous owner had it for nearly 30 years before I purchased it in October 2010. Please shop around and compare similar boats on the market and you will see the value offered here. This yacht has 2 (full size) beds in the main sleeping area along with a nice size bathroom with shower and bathtub. There is also a second area in the front with 2 bunk beds and a bathroom with shower. Importantly, this boat DOES NOT SMELL! (I remember when I was shopping for boats and about 90% of them had that funky boat smell. The good news is that this boat is NOT one of them.) The carpet, and drapes on the boat are from original owner, and are due for a replacement. I was planning on replacing these, but will leave that up to you, the new owner to choose exactly what colors/fabrics you like after you buy the boat. NOTE: some of the photos show zebra/leapoard fabric on the upholstery. My girlfriend put that on because she thought it was more fun than the original 70's fabric. However if you prefer the boring original fabric, you can simply pull off the zebra/leopard cover. Check out videos of this boat on youtube.. search term is “californian trawler 38 for sale”… You will see videos of the boat at sea, and also being taken out of the water at survey. Boat is in good running order, and ready for your enjoyment. Below are the only material problems with the boat that I am aware of. (I prefer you to know any and all negatives in advance, so that we don't waste time.) - Missing anchor and chain (About $600 to replace) - 1 of the 2 radars not functioning due to cut wire (You will probably want to replace with digital radar anyway) - Above 2000 RPM, port engine gaskets start leaking. (Relatively easy fix, but I have not addressed this since I rarely cruise above 1500 RPM) ******************** I am happy to show the boat, surveys, documentation, etc. to any serious buyer. ("Serious buyer" means somebody who lives within 250 miles of the boat, and is able to inspect the boat within a week, and has funds in place.) To screen out the flakes and tire-kickers, on ebay, please show *proof of funds*, showing you have cash on hand and ability to purchase the boat, before scheduling any viewing appointment. ******************** (copied from survey 2010) SPECS Hull: Modified V-bottom, shallow keel, hard chine, transom Hull#: JCM381181177 Built By: Marshall Boat Co. At: Santa Ana, CA Designer: Jules Marshall LOA: 38’ 10” Beam: 13’ 8” Draft: 3’ 4” Speed: 13 Kts. Ventilation: Vents, ducts Material: Fiberglass Reinforced Plastic (FRP) Thickness Skin: Variable Decking: Non-skid FRP composite Frames, size and spacing: Bulkheads and longitudinals, glassed in place Fasteners: S.S., fiberglass tape, resin Engines: Perkins Year: 1977 H.P. : 185 Ea. Type: Freshwater cooled inline six cylinder diesel Model: T6.354MGT Drip pans: FRP Flame arrestor: N/A Fuel Line: USCG type A1 Serial Number: P-354UX392078TL S-354U390754TL Indicated Hours: P-633 S-761 Reverse Gear: Borg Warner Model: N/S Ratio: 2.57:1 Propeller size: 23 X 22 RH & LH Blades: 3 Shaft Material: S.S. alloy Dia. : 1 3/8” Rudder: Bronze suspended Auxiliary machinery, Pumps: Onan 7.5 kW diesel AC genset with hard sound shield, Lewco 40 amperes 12V battery charger, 12V freshwater pump, 6 gal. water heater, 2-12V automatic bilge pumps, 2-12V shower sump pumps, 125V AC raw water washdown pump, 30 gal. plastic waste holding tank with dual discharge, 12V waste macerator pump, Wagner hydraulic steering, Quicksilver galvanic isolator, 12V bait tank pump. Engines: Perkins Year: 1977 H.P. : 185 Ea. Type: Freshwater cooled inline six cylinder diesel Model: T6.354MGT Drip pans: FRP Flame arrestor: N/A Fuel Line: USCG type A1 Serial Number: P-354UX392078TL S-354U390754TL Indicated Hours: P-633 S-761 Reverse Gear: Borg Warner Model: N/S Ratio: 2.57:1 Propeller size: 23 X 22 RH & LH Blades: 3 Shaft Material: S.S. alloy Dia. : 1 3/8” Rudder: Bronze suspended Auxiliary machinery, Pumps: Onan 7.5 kW diesel AC genset with hard sound shield, Lewco 40 amperes 12V battery charger, 12V freshwater pump, 6 gal. water heater, 2-12V automatic bilge pumps, 2-12V shower sump pumps, 125V AC raw water washdown pump, 30 gal. plastic waste holding tank with dual discharge, 12V waste macerator pump, Wagner hydraulic steering, Quicksilver galvanic isolator, 12V bait tank pump. Fuel: Diesel Tanks: 4 Material: Steel Capacity: 500 Gals. Location: Below aft berths Water tanks: 1, Aft bilge Material: FRP Capacity: 150 Gals. Electrical: 30 Amperes 110V shore, 7.5 kW diesel AC genset with transfer switch and main circuit breaker panel, 12V on-board with master switches and main circuit breaker panel. Batteries: 2 Gp. 8D 12V House and engine starting banks Condition: Poor Fire Extinguishers: 4- 2 ¾ Lbs., 1 -5 lbs. Dry chemical Fixed system: None Tagged: No Galley: Port amidships Type stove: Gas Systems 3 burner/oven, CNG Built-in: Panasonic microwave oven Refrigeration: Norcold DE726, AC/DC Norcold DE251E, AC/DC (inop.) Drainage: N/A Navigation: … Compass: Richie/Danforth Size: 5” Cards Adjusted: Unk. Radio: Standard Horizon C890S VHF, Uniden UM525 VHF Loran/GPS: Micrologic Explorer Loran (inop.) Auto-pilot: Benmar Radar: Raytheon 2600 Pathfinder 16 mile, Furuno 1721 16 mile Additional equipment: Benmar DI-17 60/60 fathometer Entertainment: AM/FM/8-track stereo Deck Equipment: Teak bow plank with bronze bow anchor roller, S.S. bow railing, raised bulwarks with Teak caprails and S.S. stanchions with Teak Taftrails, raised cabintop with opening hatch, Bridgedeck over salon with centered helmstation with complete instrumentation, engine controls and steering, clear venturi on Teak brackets, bench helmseat cabinet with storage, Bimini top on S.S. bows with complete ising glass enclosure, Sundeck over aft cabin with S.S. stanchions, Teak Taftrails and canvas dodgers, PVC patio chairs, aft deck with lazerette hatch and Taftrail gate to FRP swimstep with folding swim ladder. Displacement: 29,000 Lbs. design Spars: Aluminum cargo mast and boom Rigging: 1 X 19 S.S. Winches: Ideal 12V bow anchor windlass Anchor Gear: Danforth S22 bow anchor, 5/16” all chain rode Dinghy & Motor: Tohatsu 2.5 horsepower two stroke outboard motor Serial Number: 89822 Note: if you have seen this boat via a broker in past 12 months, you are responsible for letting me know this and you will also be responsible for paying any brokerage commissions due.